Joseph E. Stiglitz is University Professor at Columbia University in New York. He is also the co-founder and Co-President of the Initiative for Policy Dialogue at Columbia. His interests are wide-ranging and include emerging markets, development, industrial policy, labor economics, public economics, and the economics of inequality. A graduate of Amherst College, he received his Ph.D. from MIT in 1967, became a full professor at Yale in 1970, and in 1979 was awarded the John Bates Clark Award, given biennially by the American Economic Association to the economist under 40 who has made the most significant contribution to the field. He has taught at Princeton, Stanford, MIT and was the Drummond Professor and a fellow of All Souls College, Oxford.. In 2001, he was awarded the Nobel Prize in economics for his analyses of markets with asymmetric information, and he was a lead author of the 1995 Report of the Intergovernmental Panel on Climate Change, which shared the 2007 Nobel Peace Prize. 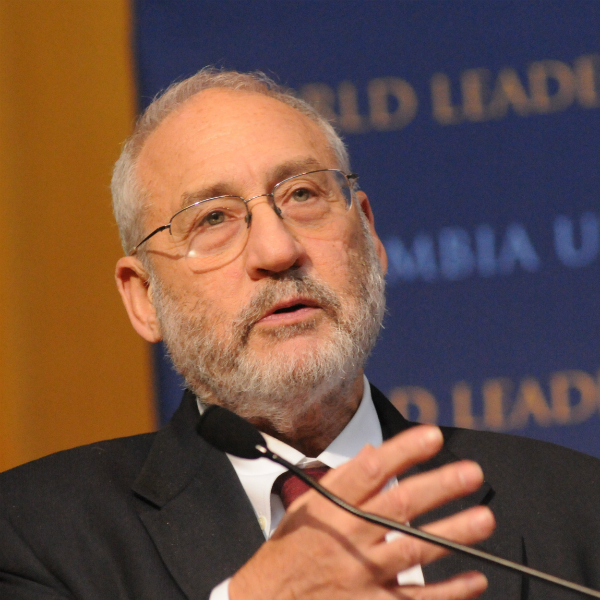 In 2011, TIME named Stiglitz one of the 100 most influential people in the world. 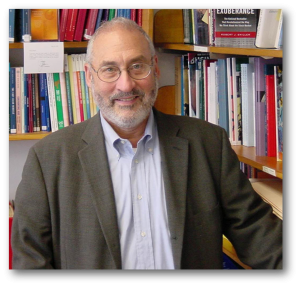 Stiglitz helped create a new branch of economics, “The Economics of Information,” exploring the consequences of information asymmetries and pioneering such pivotal concepts as adverse selection and moral hazard, which have now become standard tools not only of theorists, but of policy analysts. He has made major contributions to macro-economics and monetary theory, to development economics and trade theory, to public and corporate finance, to the theories of industrial organization and rural organization, and to the theories of welfare economics and of income and wealth distribution. In the 1980s, he helped revive interest in the economics of R&D. His work has helped explain the circumstances in which markets do not work well, and how selective government intervention can improve their performance. Recognized around the world as a leading economic educator, he has written textbooks that have been translated into more than a dozen languages. I see us entering a world divided not just between the haves and have-nots, but also between those countries that do nothing about it, and those that do.